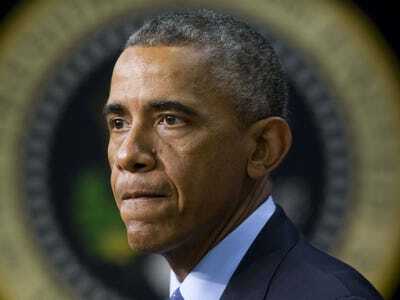 President Barack Obama ordered a comprehensive review of US hostage policy as Islamic State militants stepped up threats to behead American hostages the terrorist group kidnapped in Syria, The Daily Beast reports. A letter from US Undersecretary of Defence for Policy Christine Wormuth says the review will look for “innovative and non-traditional solutions” to improve how the government handles hostage cases. Obama ordered the review over the summer, according to the White House. The US is known for refusing to pay ransoms for hostages — doing so could make Americans more attractive targets for kidnappings because terrorist organisations know that certain countries are willing to pay large sums of money to free their citizens. But the issue of whether or not the US government is doing enough to recover Americans taken hostage overseas has resurfaced in light of highly publicized videos from ISIS showing terrorists beheading hostages. Most recently, American aid worker Peter Kassig was beheaded by the terror group. ISIS released video of the killing. ISIS has also released videos of American journalists James Foley and Steven Sotloff being beheaded. Foley’s family publicly criticised the government’s handling of his case. His mother said it seemed that their efforts to free Foley were an annoyance to the US government. Wormuth’s letter mentions “family engagement” as a point of focus for the review of hostage policy. While this focus on improving hostage policy might result in a more coordinated response from the government in the future, a drastic change in government policy toward paying hostage ransoms isn’t likely. Ben Rhodes, the deputy national security adviser to President Barack Obama, said in August that the government is right to refuse to pay hostage ransoms. But Rhodes did say that the US might step up its efforts to recover these hostages. “What we will do is use all the resources of the U.S. government to try to find and, if possible, bring home those Americans who are missing,” he said.